Interactive Global Solutions is an international government relations/public affairs and business development firm who brings proven experience and successful advocacy to companies, sovereigns and organizations across the globe. With points of presence in Washington DC, Chicago, Denver, Europe, Africa, Mexico and Latin America, IGS Partners and Advisors affect change. Fred Niehaus is a Senior Executive with a well-rounded background in business and a proven leader of a diverse group of results-driven organizations and people. He has C-suite experience in leading teams responsible for business development and strategy implementation and possesses the strategic ability to utilize global relationships and business experience as a key discriminator in advocacy. He is an enthusiastic individual with exceptional communication, interpersonal, analytical and problem-solving skills which foster strong and credible working relationships with key players both internally and externally. Previous experience has included serving as a Global SVP for First Data Corporation and the Western Union Company from 2003 through 2011. In this capacity, Mr. Niehaus was responsible for developing and implementing strategies to reach various corporate constituencies – including legislators, policy makers, regulators, attorneys general, community groups and consumers – while shaping emerging global public policy issues and trends that impacted the Company’s operations and reputation. In 1991 Mr. Niehaus founded and served as President and Managing Partner of InterMountain Corporate Affairs, a Colorado-based public affairs firm. In this role, he served as advisor to CEOs and key corporate staff of fortune companies across the United States. From 1987 t0 1992, Mr. Niehaus served as Colorado Governor Roy Romer’s (D) Special Assistant for Economic Development and Director of OED. In this capacity, he restructured the state’s economic development programs, created a targeted marketing strategy, developed innovative finance initiatives. He was the state’s primary negotiator with major corporations. Mr. Niehaus also served as Finance Director of the New York-based National Development Council, matching clients with sources of public and private sector capital. 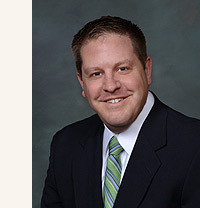 Mr. Niehaus’ background includes serving as Deputy Director of Commerce and Community Affairs under Illinois Governor James Thompson (R) and, prior to that, as Public Affairs and lobbyist for the Illinois Railroad Association. Sean Tonner is the founder and President of Phase Line Strategies, a Denver, Colorado-based public affairs and political consulting firm. With more than a decade of experience in government and corporate affairs, Mr. Tonner offers clients expertise in developing and executing effective corporate growth strategies as well as providing sound political consulting. Prior to founding Phase Line Strategies in 2002, Mr. Tonner served as the Deputy Chief of Staff to Colorado Governor Bill Owens. He was responsible for the day-to-day operations of the office as well as managing intergovernmental affairs and external relations with various constituencies including political, minority, and business organizations. Over the course of his career, Mr. Tonner has worked on numerous political campaigns in the U.S. and abroad, including Bush-Cheney, Bill Owens for Governor, Ben Nighthorse Campbell for Senate, Mike Coffman for Congress and numerous local and state efforts. In 2002, he was named a national rising star by Campaigns & Elections magazine after he engineered a nationally recognized get-out-the-vote program that resulted in the largest gubernatorial vote received in Colorado history. Most recently, Mr. Tonner has been working with clients in Central Europe in election strategies and business development with global corporations. In addition to his extensive political experience, Mr. Tonner has also amassed impressive corporate affairs experience developing and executing successful strategic plans for companies including Western Union, HealthOne, Wal-Mart, Noble Energy and others. He has been successful in raising and deploying investment capital for small and medium sized companies. As founder and managing partner of FWD affairs, Patrick Egan brings an insider’s perspective to European political and public affairs. With more than a dozen years of experience working on political transitions in Europe, he leads the company’s efforts to bring to the continent the latest tools in political and public affairs to identify and target supporters. As an advisor, consultant and organizer, Egan has worked with political leaders and candidates, parties and public affairs groups in more than twenty countries of Europe and the Middle East. 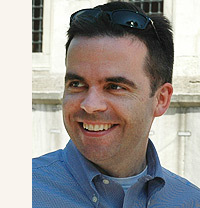 Prior to founding FWD affairs, he served six years at the International Republican Institute, including as director of the Regional Program for Europe and in Baghdad, Iraq, where his work to increase voter turnout and mobilize civic groups for the historic 2005 elections bolstered dramatic turnout levels and received recognition from US Secretary of State Condoleezza Rice. Mr. Egan has worked directly with mayoral and parliamentary candidates and party leaders to develop competitive communication and direct voter contact methods, most recently in France, Germany, Hungary, Romania and Slovakia. As a fundraiser, Egan has helped raise financial support for political projects and civic campaigns from numerous US and European public and private donors. Originally from the United States, he holds degrees from the University of Oregon and the Fletcher School of Law and Diplomacy at Tufts University, where he was a Boren Fellow of the National Security Education Program and a visiting fellow at NATO Headquarters in Brussels. A resident of Budapest, Egan speaks French and proficient Hungarian. Since 1994 David Metzner has been with American Continental Group, one of Washington, D.C.’s premiere government affairs and strategic consulting firms advising businesses, states and municipalities and nonprofit organizations. Mr. Metzner has consulted for more than 25 years on the federal nature of the American Government and the interplay between the states and Washington and foreign governments in the development of such policy. This has included national debates about the regulation of the financial markets, intellectual property, foreign policy, the arts and public diplomacy. In 2007, Mr. Metzner assumed the leadership of ACG Analytics, the firm’s financial industry consulting offering, which offers money managers the opportunity to gain insight into how public policy can affect their investment decisions. This has included the sub-prime housing crisis, government receivership of the GSEs, the TARP program, government assistance for the auto makers, Cap and Trade, energy policy and financial industry reorganization. Mr. Metzner began his public policy career as the Director of Legislative Affairs for The Singer Company, where he assisted the CEO and other senior executives in developing corporate positions on tax policy, international trade and national security. During this period, he often spoke to corporate employees about the private sector’s role in policy development at the state, local and federal levels of government. In January 2009, Mr. Metzner completed his six year Presidential appointment as Vice Chairman of the Board of Trustees of the Woodrow Wilson International Center for Scholars. In this capacity, he focused his efforts on strengthening the Center’s programming on Globalization, China and Latin America, and also led the Board’s initiative in creating the Kissinger Institute on China-United States Relations. Mr. Metzner serves on the Institute’s Advisory Board which is chaired by Dr. Kissinger and Xu Kuangdi, the former Mayor of Shanghai. He is a member of the Economic Club of Washington and the China-United States Business Counsel. Meseret Gebre Egziabher–Niehaus has experience in international business. She has worked with diverse industries including textiles, pharmaceuticals, medical products, biotechnology, and food service. She currently serves as Business Development Director for Medica International, Ltd. Founded in 1954, Medica specializes in business development and expansion throughout the world. Operating as the international department of high quality U.S. and foreign corporations, Medica’s staff is skilled in all facets of worldwide business, trade and regulations. 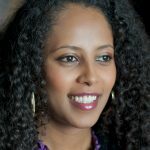 Meseret was born and raised in Addis Ababa, Ethiopia, where her father is a diplomat. She was educated in Ethiopia and the United States. She is bilingual and has lived and worked on three continents. 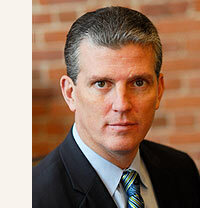 Serving from 2003 to 2010, Patrick C. Lynch, is the 72nd person to hold the office of Rhode Island Attorney General since its inception in 1650. Lynch, during his tenure as RI’s Attorney General, was the first Attorney General in state history to serve as the President of the National Association of Attorneys General (NAAG). A Special Assistant Attorney General from 1994 to 1999, he prosecuted cases at every level of Rhode Island’s criminal justice system and led the State’s prosecution of gang-related offenses. Lynch worked for one of Rhode Island’s top law firms until the 2002 election, which capped his first campaign for public office. An emphasis of his two terms as the Attorney General, Lynch had a strong voice in the shaping of legislation aimed at toughening the state’s criminal justice system, advancing the rights of victims, and affording additional protections to consumers. Lynch made reducing juvenile crime the centerpiece of his administration, believing that the career criminals of tomorrow start off as the youth offenders of today. During his tenure, Lynch, who as Attorney General of Rhode Island had primary criminal authority, served from 2003-2011 on the Board of the National District Attorneys Association (NDAA). He also served on the Executive Working Group on Prosecutorial Relations through the Department of Justice from 2004 to 2006. Lynch also served as Chairman of the Democratic Attorneys General Association (DAGA) from 2004 to 2006. During Lynch’s stewardship of DAGA, the number of democratic attorneys general surged to 31 and fundraising and membership soared. Lynch’s energy and leadership on important legal and social issues has earned him the respect of his peers throughout the nation. Not only did Lynch lead several important amicus filings, he very actively participated and chaired or co-chaired many committees at NAAG including Youth Access to Alcohol, the Criminal Law Committee, and Co-chaired (along with Colorado AG John Suthers) the Task Force on School and Campus Safety in the wake of the murders at Virginia Tech. 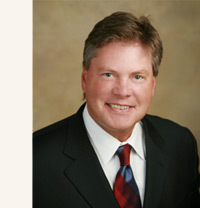 Steve McClure has been providing economic development consulting services since 1991 and is currently President of Opportunity Alliance LLC. The firm provides assistance in the areas of incentive negotiation, public policy, site selection and public financing. The firm has been engaged by major corporations to gain access to tax credits and financial incentives for projects throughout the United States. He and his associates have negotiated significant incentive packages for companies such as Walgreens, Motorola and many other major corporations. Mr. McClure’s knowledge of state incentives has afforded him the opportunity to make numerous presentations to the Institute for Professionals in Taxation (IPT) on the status of enterprise zones and other incentives available throughout the country. Earlier in his career Mr. McClure served as Director of the Illinois Department of Commerce & Community Affairs (DCCA), which was the State of Illinois’ lead economic development agency. As Director, he was the Department’s Chief Executive Officer, directing the bureaus of Program Administration, Small Business Assistance, Marketing, International Business, Tourism and Operations. He also directed the agency’s functions for Personnel and Human Relations, Legislative and Governmental Relations, and its budget office. The Department administered over 70 programs across the State, with a staff of over 700 and a $900 million annual budget. The Department also operated eleven overseas trade offices through its International Business Bureau. Under his leadership the Department doubled the number of foreign offices of the State. The Department became known for having the most aggressive state international business effort in the Nation, providing assistance to hundreds of firms each year. Mr. McClure has overseen sensitive negotiations with a number of governments and international businesses. Most notable, he negotiated the simultaneous agreement with the former Soviet Union and the Russian Republic for the first State Office from the United States to be set up in the former Soviet Union. Before becoming the Director, Mr. McClure served as Assistant Director of DCCA and the Department’s Chief Operating Officer, overseeing the functions of each of the Department’s bureaus. This included implementing a major reorganization of the agency. Mr. McClure served in a number of policy and management positions for Illinois Governor Thompson, including the Governor’s Director of Boards and Commissions. In this capacity, he advised the governor on appointments to over 1,500 posts in government. He also serve as Manager of Government Relations at DCCA and was responsible for the drafting and passage of major economic development legislation proposed by the Governor. Immediately upon graduation from college, Governor Thompson selected Mr. McClure as a member of the first class of the Governor’s Executive Fellowship Program. Kentucky commissioned Mr. McClure a Kentucky Colonel for his assistance in joint economic development activities between Kentucky and Illinois. Most recently Mr. McClure was given the Distinguished Economic Developer Award by the Illinois Economic Development Association, which is the premier economic development organization in the State and is made up of private and public economic development professionals throughout Illinois.